Minimum wages are on the rise for many states nationwide, thanks in large part to growing public acknowledgement that the federal level just isn't enough to reasonably keep people out of poverty. To that end, more than 2 in every 5 states will raise their minimums at least somewhat in 2019, with two recently joining those ranks through public ballot initiatives. 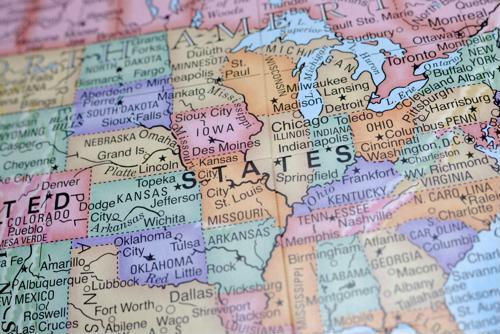 Votes in Arkansas and Missouri in early November recently brought the number of states that will raise their minimum wage levels at the start of the new year to a surprising 21, after years of far less common increases, according to Nation's Restaurant News. While the federal minimum hasn't budged from its current $7.25 per hour in almost a decade, a number of states are raising wages - either by an arbitrary number (for instance, Maine's is jumping $1, to $11 per hour) or undergoing legally mandated annual adjustments for a higher cost of living (such as Vermont's 28-cent increase to $10.78). This comes as many companies deal with tight labor markets thanks to a strong economy, the report said. That, too, is making it tougher for businesses to keep up with rising labor costs. "By and large, depending on where you are, the scarcity of workers is putting more pressure on wages than politicians are," Joe Kefauver, managing partner at Align Public Strategies, a public affairs and communications firm, told the publication. "Companies are competing against each other more on benefits than they are wages. They are spending more time figuring out paid leave and sick leave and what Starbucks is doing with childcare. Companies are more focused on that space than they are wages." This trend, observed over the last few years in a growing number of states, seems to be gaining momentum, even in states where one might not think of lawmakers as being particularly progressive on labor issues, according to Frankfort, Kentucky television station WKYT. There, State Sen. Reggie Thomas recently pre-filed a bill that will be considered when the legislature re-convenes a week after the start of the new year. Citing Arkansas's approval of a $12 minimum wage, Thomas's bill calls for the Bluegrass State to raise its minimum wage to $15 per hour by 2026, the report said. Thomas noted that this was done because he believes everyone in Kentucky should be able to earn a living wage. With the growth in minimum wage comes the standard hand-wringing from industry groups about rising wages impacting their business models. But according to new data from the Institute for Policy Studies, the increase in New York State's tipped minimum wage - which went into effect at the end of 2015 - workers saw their salaries rise 10 percent while full-service restaurant job creation grew 4 percent and the number of new restaurants increased by 10 percent. Both those numbers were higher than the ones seen in any neighboring states. When companies raise their own salary offerings independent of minimum requirements within their states, they are far more likely to stand out to would-be hires, and boost retention of current workers.